Orbital Sciences was founded over 25 years ago with the following mission: "making space technology more affordable, accessible and useful to millions of people on Earth". At the time of the company founding, the Aerospace industry was dominated by large, bureaucratic and expensive Defense conglomerates . Orbital's founder and CEO, David W. Thompson, believed that reliable, simpler systems could be made with a core team of dedicated and experienced engineers. From this simple idea, one of the world's premiere satellite designs was created. Vice President Christopher W. Richmond talks the growth of his company and the market for small GEO satellites. He started Japan's first satellite communications business was successfully started in 1985, now an international partnership with the global satellite communications provider Intelsat is established, and grew JSAT Corporation(here in after JSAT) into Asia's largest satellite communications provider. 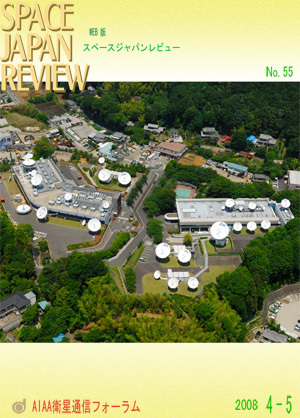 Under his guidance, SKY Perfect JSAT Corporation (here in after SKY Perfect JSAT) acquired Space Communications Corporation ( here in after SCC), and has expanded globally in the pursuit of further growth in the satellite communications business. In our interview SKY Perfect JSAT Chairman Masanori Akiyama speaks passionately about his business strategies for international satellite communications. 2008 JFSC Annual General Meeting was held at NICT Koujimachi meeting room on May 8.20 attendees consisting mainly from JFSC committee members have gathered and approved the 2008 JFSC Action Plan and the new JFSC organizations and new committee members.